Share the recipe on blog. …being very non-technical, we went through our fair share of challenges when we first started Just One Cookbook. Since we didn’t know a thing about blogging, we definitely made a few mistakes along the way. As a result of making these mistakes and facing challenges, we actually learned quite a bit of new skills over the past 2 years. In this post, we’ll break down our thoughts into the following categories, which we think will be the most helpful for new bloggers. We’ll tell the story of how we ended up choosing self-hosted WordPress instead of a Blogger, Movable Type or free WordPress.org account. We are with our third hosting company and so far it’s a happy marriage – but it hasn’t always gone so smoothly. We’ll review technology like CDN, theme and other helpful tools that we use ourselves. We’ve learned that it’s not always easy to take a good photo. We’ll give you a quick recap of how our photography skills are improving. 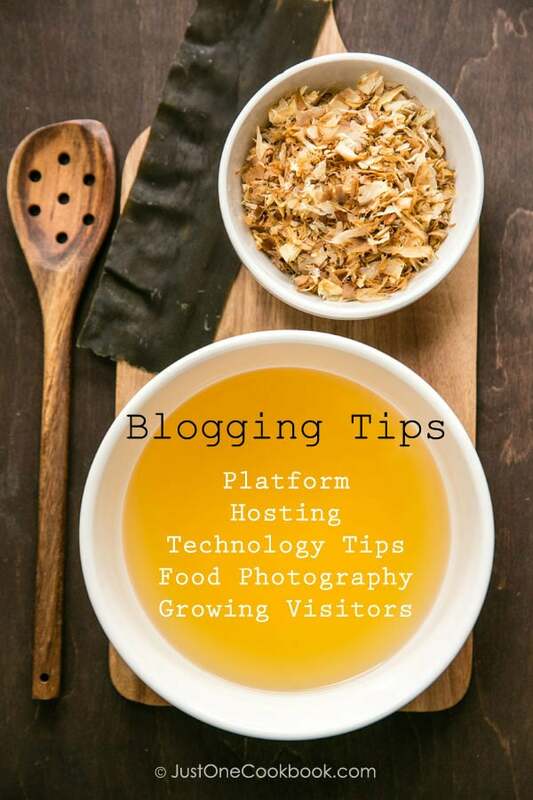 You have a food blog – now what? We’ll give you some tried and tested tips to help you grow your visitor base. Best wishes for your blogging adventure and we hope these tips are helpful. I’ve just read this entire post–awesome job!! The Shen and Nami team has done an excellent job in the last two years and I’m sure it will just keep getting better. What a treasure trove of information for people just starting to blog–or for those who don’t, it gives people an idea of how much goes into each post. Shen & Nami, just want to say, THANK YOU SO MUCH….. for sharing with all of us of your great photos (especially the tutorial photos), and most of all the recipes! I have learned so much from Just One Cookbook! Really !! Great tips!! I always LOVE your photos – they are stunning! Thanks so much for sharing, Nami and Shen. I have learned so much! I look forward to reading all your tips. It’s always good to hear what others have learned. Very timely. I’m dealing with some issues with my rss subscription base, and considering moving off of Blogger now. Thanks for this. Hi Shen & Nami! Thank you so much for putting this together and sharing with us…. Really appreciate it! I think you have done a great job! Your blog is such interesting, informative and I love following your post. In fact, it inspired me to cook some dishes again, yes again, especially some dishes I find it troublesome to prepare. Appreciated with your generousity of sharing cooking tips :)! Thank you for sharing good recipes. So many things to learn from this post and things that go behind the scene. Thank you, Shen and Nami for sharing all of these information both technical and creative. You guys work really hard. Great job and more success. Great job Shen. Superb article. So wonderful of you both to share such wisdom and your lessons learnt, thank you. Great tips guys, all very useful to keep in mind! As I have already said: fantastic idea! I will have all my weekend filled with attentive and detailed reading of all the links. Thank you so much! You two make wonderful team and I enjoyed posts from both! Keep up the great work! very informative and definitely very helpful article! Thanks for mentioning my blog Shen. I am a fan of Nami’s blog and glad to find a friend in her. One of the best posts I’ve read ever! Congratulations! Hi Shen/Nami, I call it this is an awesome post ever! very useful and informative. I cant stop to coming back here over and over again 🙂 luv it! Taking food pictures is not easy for me. This is terrific stuff. I read the entire thing, and think you have some really smart advice to offer all of us. 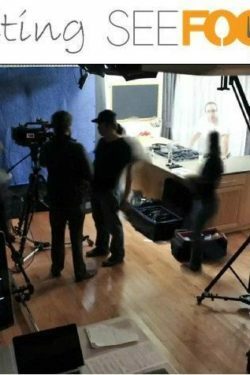 And it’s always fun to see photo setups (although usually I can figure out what you’re doing just by looking at the photos – all of which are exceptionally good, BTW). Wonderful set of posts – thanks. Nami and Shen, you certainly put together an extremly helpful and informative post! Thanks for sharimg all the important information, tips and techniques – I know that after having blogged for one year, I have still a lot to learn and could improve on a number of different issues! Have a great weekend! And many many more wonderful blogging years ahead! I’ll read it bit by bit but what a great resource to offer. Great job Shen! Thank you for putting something like this together, I think so many good blogs get discouraged and then quickly disappear! Hello. Shen and Nami san, and it’s very nice meeting you through blogs. I have always been so admired and inspired by what you two share with readers and how you make everything so neat. I, as usual, am so happy to read this post and am thankful to your generosity!!! I have tried food blogging (still have one but I am thinking about making it little different with other contents besides food or in addition to food). I have learned so much through your sharing tips here:-) thanks so much! I haven’t been able to sit and write blogs lately, but will come by here to learn more about authentic Japanese food although I am Japanese! Thank you for the very useful information. You and Nami are a great team. Congratulations on being a successful blogger. I remember when you were a newbie, Nami! Your were a pro from the start! Thanks for all your tips…I will read a few sections now and return later. Thanks to Shen, too, for all his behind the scenes work to make your blog so superb! WOW! What an amazingly well put together and useful post. Thank you for the wealth of helpful information. I’ve already ordered some of the books you recommended, looking into upgrading equipment, and researching different hosting options. Many thanks. Wishing you both ALL the best in your future blogging pursuits! What an informative post.Thanks, Nami! This is so helpful! Thank you Shen and Nami for this informative article. 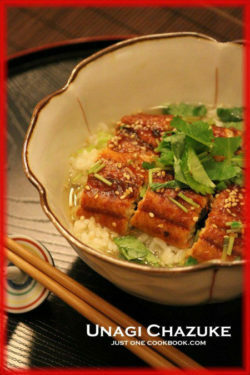 I love your blog, it is full of delicious Japanese recipes with amazing food pictures and easy instructions! I have a question about choosing the name for my food blog. Do you think it is a bad idea to use my own name for the foodblog? For example, something like: KatiesKitchen or KatiesCookbook? Hi Katie! I’m so glad to hear you enjoyed reading this post. Time flies… as we just celebrated our 3rd year this month and we learned more during the past year (wanted to do another about blogging tips, but we’ve been too busy to write a post…). Name for your food blog. It’s very important as most likely you won’t change it, and if you do, it’s a lot of work… I’d say keeping it simple is very important. Even “just one cookbook” is a bit too long and some people don’t remember the name. I didn’t think too much about it in the begging and sort of stuck with this name. Not that I don’t like, but I should have named something Asian or Japanese in the name, so most people can recognize it’s a website about Japanese food, especially I’m more specialized. When you search on Facebook, for example… like Japanese or Japanese food, my blog name won’t come up. I kind of wished that I included “Japanese” so people searching related topics can find me. We’ve been working on SEO so when you google Japanese food/recipes, my blog posts start to show up, but it took some time… So, if you’re doing special diet, I’d say it’s nice to include it – like “Paleo” or “Gluten Free” etc. Also, people know how to spell it. Katy or Katie can be tricky as some people may type katyskitchen.com… and I just googled and there were some Katy’s and Katie’s Kitchen already. Should be unique, but at the same time easy to remember and spell, and related to topic you blog about… I have seen blog’s names that are identical and I think it’s very difficult to stand out and differentiate from the other blog… so being unique sort of helps (but easy to remember). Don’t make a long name….URL is going to be too long. Keep it simple. Good luck! I like your blog name alot, i find it easy to remember especially when you have a story behind it. 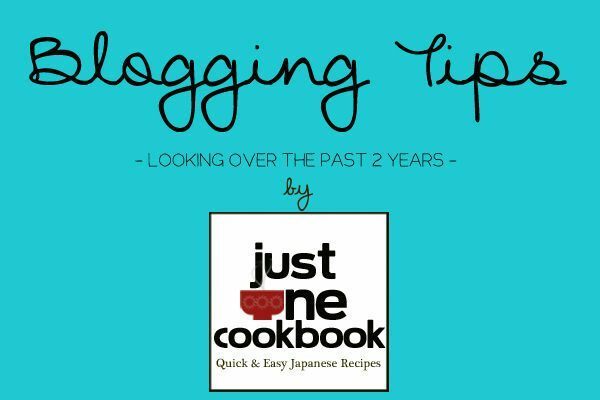 And you are doing an incredible job on the SEO, I actually found your blog by googling “Japanese food blog” and your blog came up to be the very first one ! I agree with picking an easy to remember, short, unique and relevant blog name. I am still struggling to come up with a name that fits all categories. For example if I want to start a blog on singaporean/ east asian food and as soon as I include “singaporean/ east asian” in my blog name (url) the name will become quite long and I probably will have to name it along with words related to food or cooking too. I will take my time to choose the blog name carefully and I cannot wait to try making the matcha chocolate and many other great recipes on your blog! Yes! I’m glad you found my blog through google search! Three years ago my blog was almost invisible on Internet. We’ve been working really hard to create good contents and it’s nice to see it’s working. Agree. Blog names like “Steamy Kitchen” and “Rasa Malaysia” suggests Asian theme, and it’s nice and short. Yeah take your time. You can change a blog design but very hard to change name, so you should be very happy with the name you choose. 🙂 Good luck! I’m still learning and drinking up all the good advice! Thank you! Howie Foodie WordPress theme by Medium and Message: http://crtv.mk/hwJq a theme with full pack features for your food blog. Check it out now.